Organizations that process slurry, waste water and other solid laden fluids are best served with an abrasion resistant pump from Phantom Pumps. 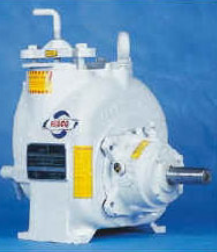 We’re the centrifugal pump manufacturer renowned in the industry for producing exceptional self priming pump models that are cost-effective alternatives to high-cost name brand pumps on the market. At Phantom Pumps, we manufacture our pumps to meet and exceed industry standards and back each pump with a one-year guarantee. We design and construct our abrasion resistant pumps with materials resistant against uneven wear caused by fluids containing sand, resin, sewage and other abrasive particles and substances. We also institute strict quality control measures, and we assemble, test and package all pumps in the United States for quality assurance. Phantom Pumps application engineers and pump specialists are always happy to help clients cross reference our centrifugal pump products to existing equipment at their facilities. Processors often find that replacing worn-out or broken pumps with our compatible pumps results in both increased performance and reduced equipment related expenses. Additional cost savings are typically realized when technicians use our more affordable replacement parts to repair and maintain pumps that are still in use. Phantom Pumps is proud to have a global network of distributors with application expertise who provide organizations in Florida, Georgia, Alabama, Ohio, North Carolina, South Carolina and elsewhere throughout the US with everything from a local inventory of pumps and centrifugal pump replacement parts to installation assistance, technical support and more. Contact one of our associates today for quotes, technical data sheets, specifications and/or other information on any of our abrasion resistant pump models.